Kelly's Korner: Who wants a $100 gift card to Panera??????? Who wants a $100 gift card to Panera??????? 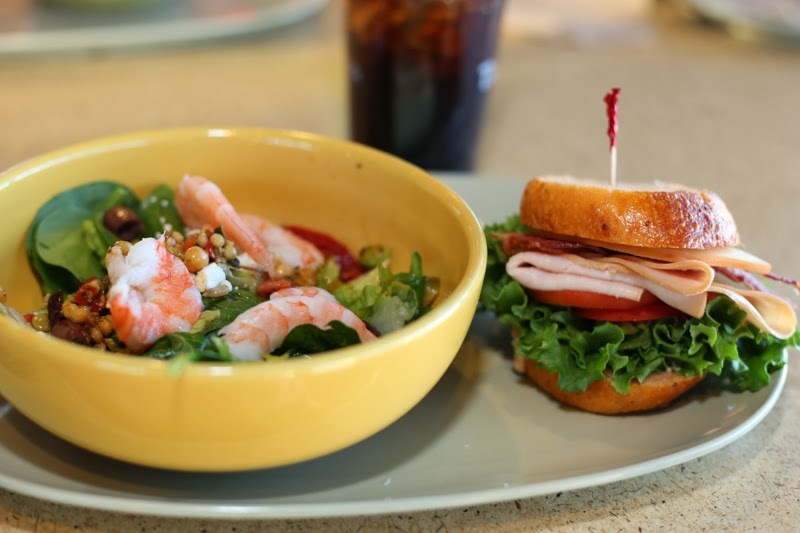 One of my favorite restaurants that I have frequented OFTEN for the last 15 or more years is Panera. It went WAY up a notch for me over the last year or two when ours relocated and added a Drive-Thru!!! Hallelujah!!! If there is anything a mother of small children loves - it's a drive-thru! It's nice to have a place I can go with the kids in the car without getting out and have healthy alternatives to fast food. And my girls LOVE the Mac and Cheese. I don't blame them. It's so creamy and not at all like the yellow stuff out of a box. So Panera gave me an opportunity to visit and try an old favorite and a new (hopeful) favorite and I jumped on it. We even got a little crazy and dined in! I actually enjoy Panera the most in the mornings because I love their bagels. Asiago Cheese is my very favorite. When I worked, I would often run in and grab one before I headed to the office. Even now I get one when I'm out in the mornings and want a special treat. But I also love so many other things. I usually always do the "You Pick Two" option because I hate deciding between all the choices - this way I can get a couple of things. I usually get soup because there are so many soups I love. The Bistro French Onion is my favorite. I nearly always get the Bacon Turkey Bravo which is my very favorite sandwich. 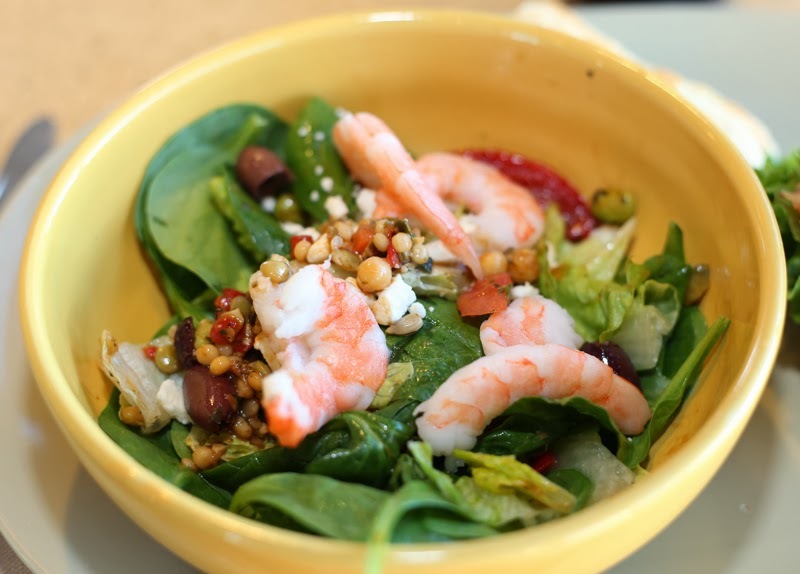 Tonight I tried something new on the menu, the Mediterranean Shrimp Couscous Salad, but there are a lot of new offerings you can also try like the Fuji Apple Chicken Salad, Mac &Cheese, Broccoli Cheddar Soup, and Cinnamon Crunch Bagel. It was such a delicious dinner. All three Stamps girls loved visiting Panera for dinner. And it's possible that they had baked goods for 99 cents. And it's possible that we had to get a few to try after dinner. And it's possible that we loved it! 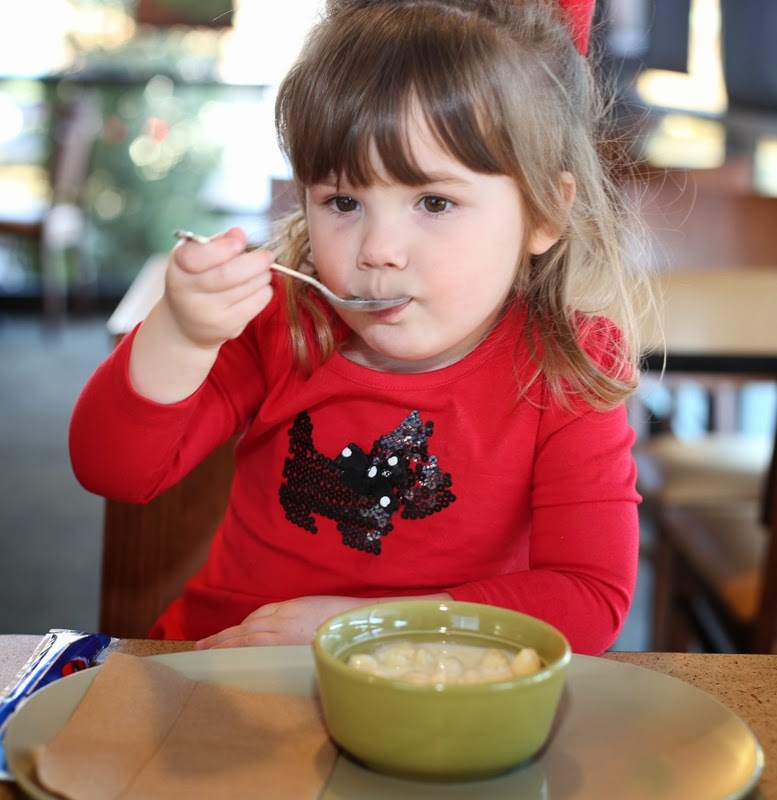 Vote for your favorite menu item at Panerabread.com – My Panera members get a chance to win their favorite free for a year! 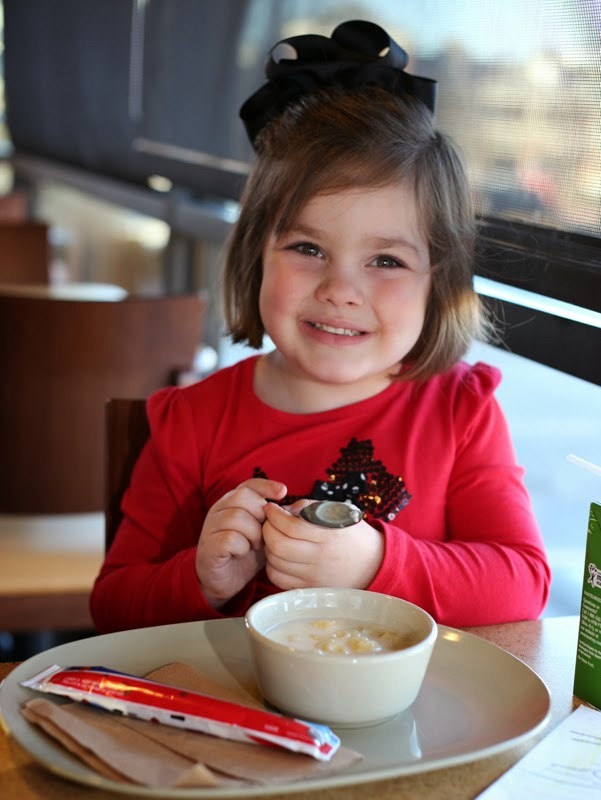 Share images of your favorites on Facebook, Twitter and Instagram using #PaneraFaves for a chance to win a $25 Panera gift card. 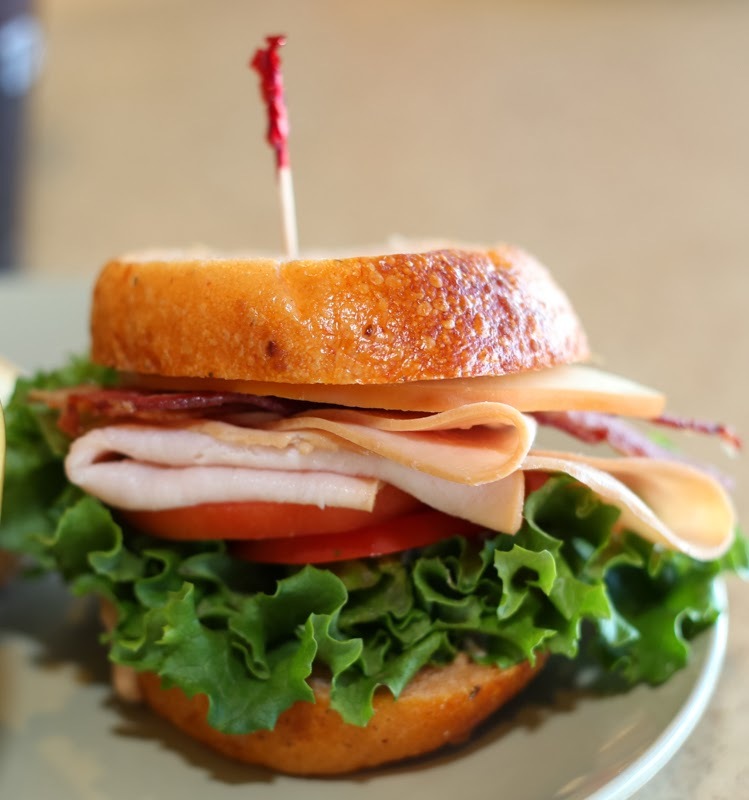 You can find Panera on Facebook, Twitter, and Instagram. And we want to give YOU a $100 Panera gift card!!! 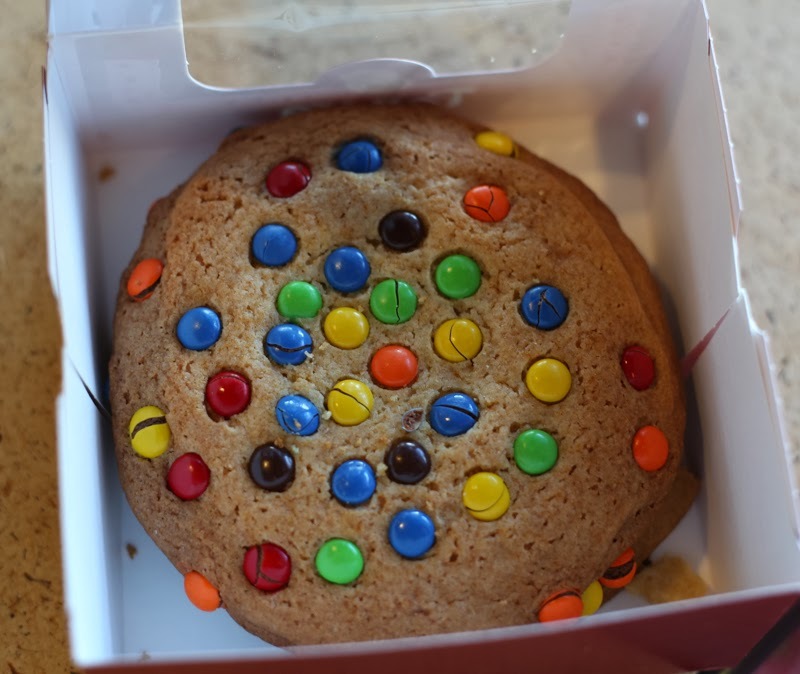 Leave me a comment and tell me "What is YOUR favorite Panera item?"